By Sia in Desktop. Updated on December 8, 2017 . Back at Build 2017, Microsoft previewed a new OneDrive feature called Files on Demand. If you’re a participant of the Windows 10 Insider program, you can now get your hands on the feature as Microsoft has rolled out Files on Demand to those who are part of the Fast Ring of the Windows 10 Insider program. With Windows 10 Insider Build 16215 installed, users would be prompted by the OneDrive app to enable Files on Demand upon login. Once the feature is enabled, you can begin taking advantage of the feature. To begin using the feature, you’ll need to open your OneDrive folder. In the folder, you’ll see a new Status tab that comes with various icons that represent the state of the file in OneDrive. 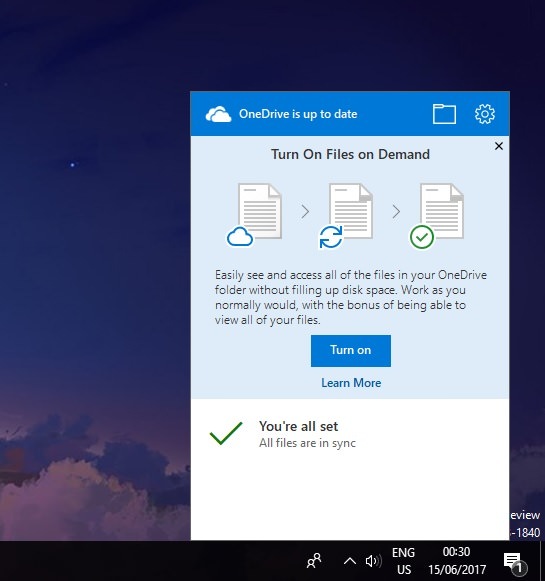 Files that are available on both OneDrive and the device you’re on are given green check marks, files that are currently syncing between the device and OneDrive are given the Sync icon, while files that can only be found on OneDrive are given a Cloud icon. So how does Files on Demand work? Once the feature is active, OneDrive would stop downloading entire folders to your computer. 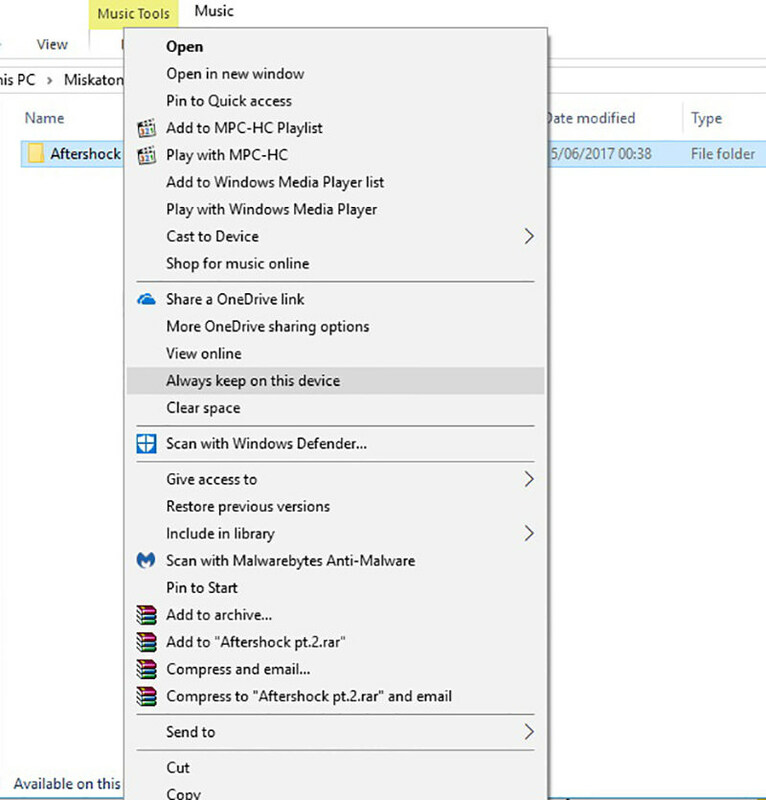 If user requires a file that is currently unavailable on their computer, all they have to do is double-click on the file in question from their OneDrive folder, and OneDrive would immediately download and open the file. All the other files in the same folder will not be downloaded until the user decides to open it. As for files that are too important to not have on your device, Microsoft has added an "Always keep on this device" option to OneDrive. Files or folders that are tagged with this option will always be downloaded to the device, making them available whenever you need. Useful though the feature may be, do note that the early build nature of Files on Demands means that the experience is still rather rough around the edges. If you’re thinking of jumping onto the Fast Ring just for this feature, my personal advice is to wait until it gets released into the Slow Ring.